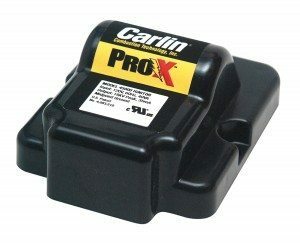 45000 Pro-X Universal Ignitor – Carlin Combustion Technology, Inc. The Pro-X 45000 Universal Ignitor is Carlin’s most durable ignitor ever. Built to last and tested through hundreds of thousands of on/off cycles at high temperatures at maximum voltage, this ignitor defines durable. But long life is only half the story. The Pro-X 45000 is Universal. The rugged thermoplastic housing features mounting locations for virtually any burner, any brand. If you’re looking for a tough as nails ignitor that will fit any burner you work with, the Pro-X 45000 is for you. Carlin Pro X 45000 Universal Ignitor from Carlin Combustion/Hydrolevel Co. on Vimeo.